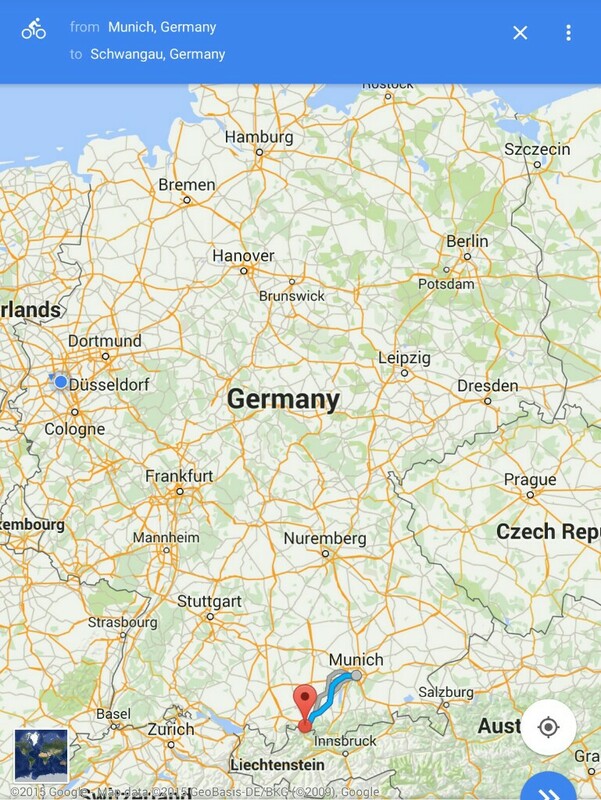 We leave Holland tomorrow, to return to Germany at its northwest corner via ferry. Holland has been an AWESOME ride! 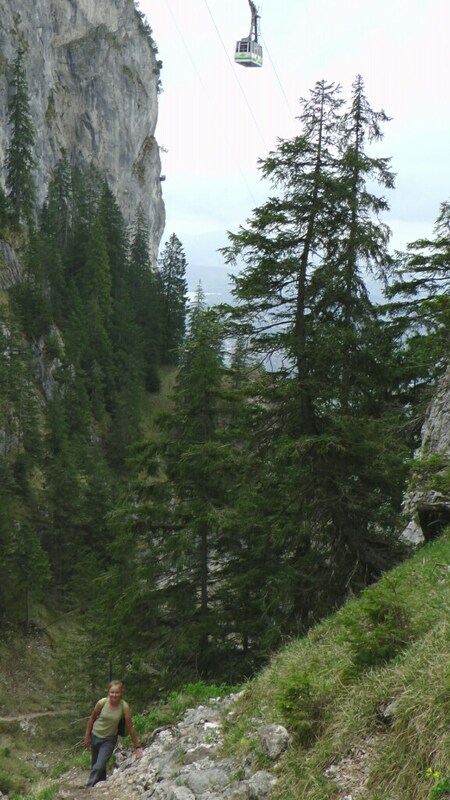 OK, how many of you knew that Germany had some gorgeous alpine topography? I didn’t. Of course, we know of the Alps in Austria, Switzerland, Italy and France. 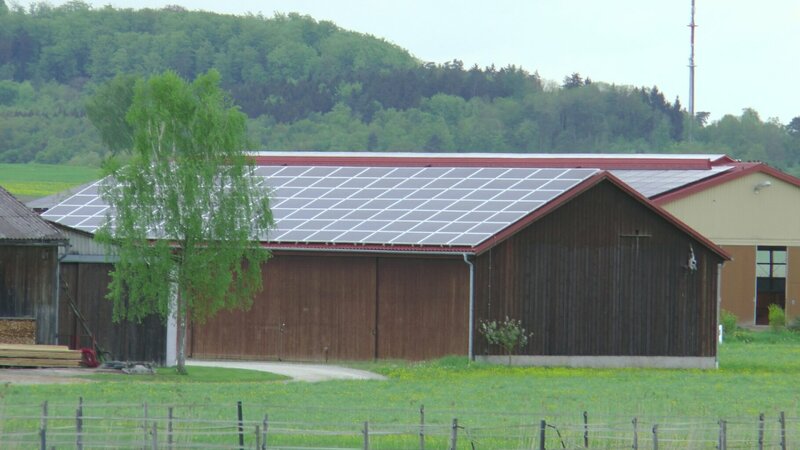 But Germany has its own little piece of this great feature. We wanted to visit Freiburg in southwest Germany because of its exemplary green infrastructure and planning, and wanted to visit some friends in Zurich, Switzerland (on Germany’s southern border), so decided to head to the south of Germany to see the famed Neuschwanstein castle and to do some hiking. 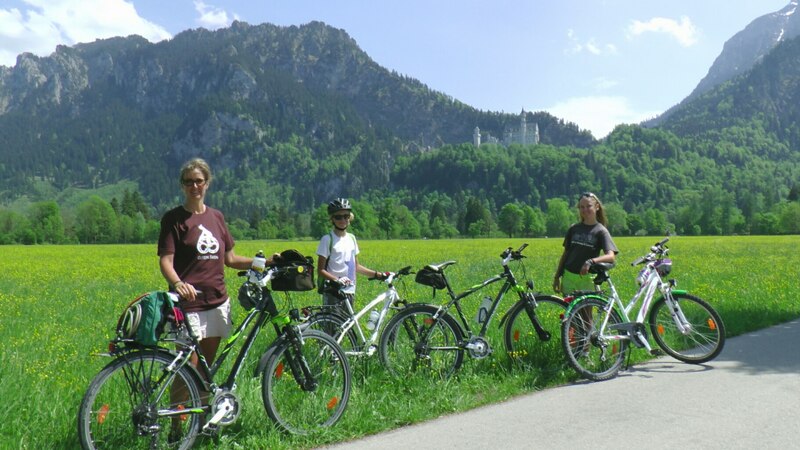 We cycled two days from Munich to Schwangau in southern Germany. 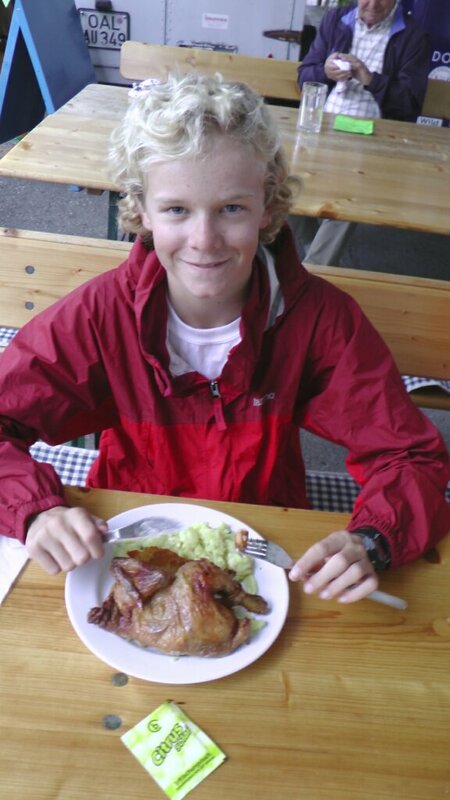 As Jake mentioned, we spent another half day in Munich to take in more of the down town atmosphere. By the time we got back and packed up our stuff at Gotz and Liza’s, it was 3PM which is not an ideal time to start a cycling day. 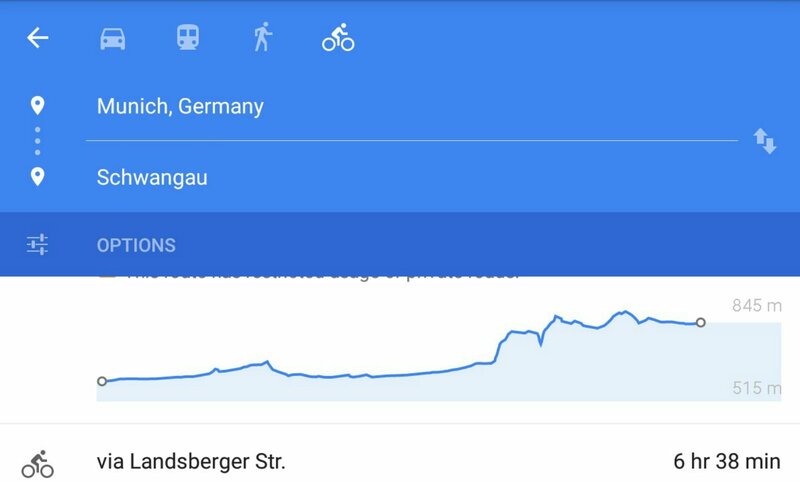 Getting out of a city the size of Munich on bicycles is not much fun, even when there is an OK bike path. So many stop lights, so much traffic, and the path is always jumping between road and sidewalk. 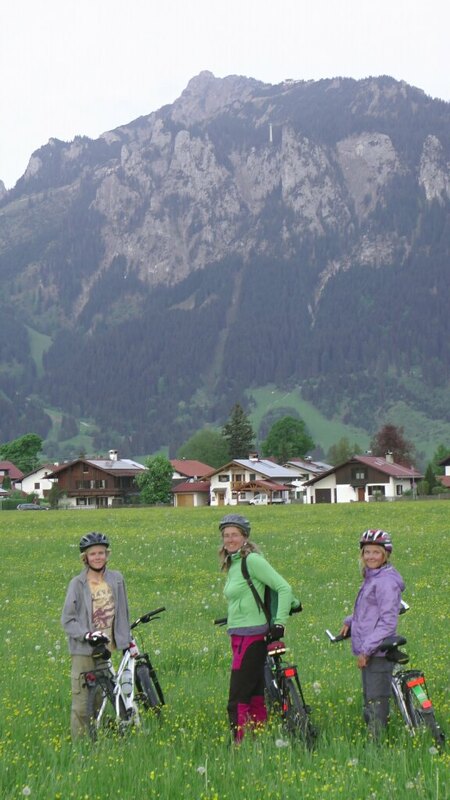 It took us the better part of 2 hrs before we were again amongst the green fields that we so enjoy cycling in. 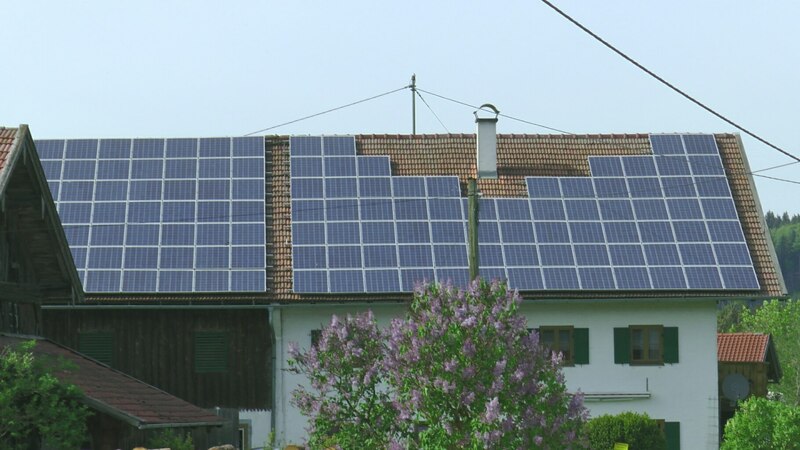 I, in particular, also continued my admiration of the extent to which rooftop solar PV had been deployed on homes and barns. 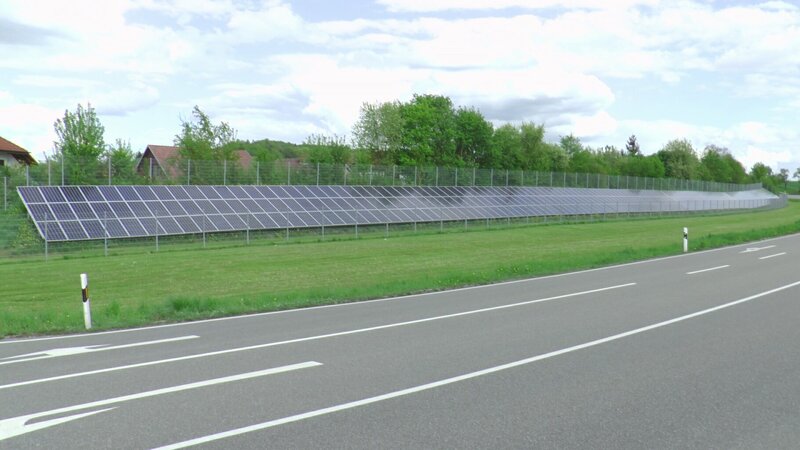 I will do a separate blog entry later to explain why and how Germany has made such astounding progress towards a renewable electricity portfolio. We saw a few of these bike-mail carriers. Easy for them to stop and get in and out, especially on narrow streets. 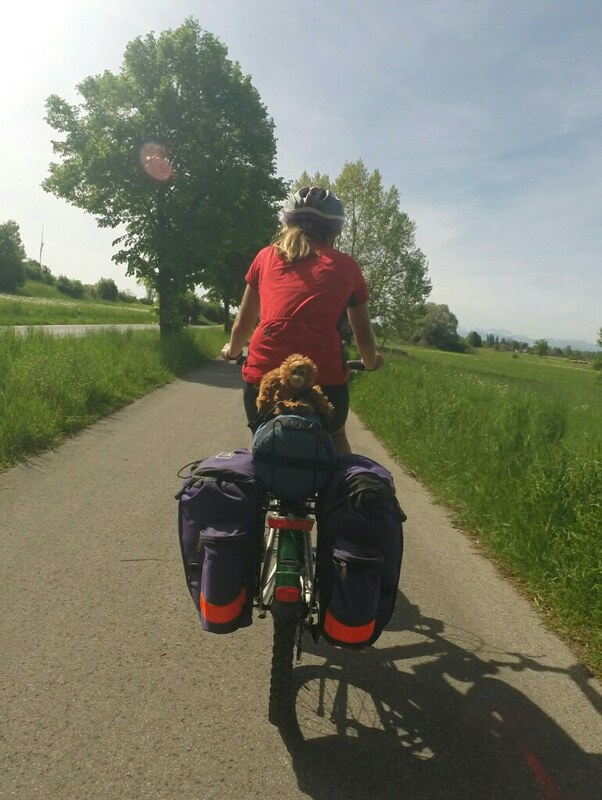 A pastry stop (crucial part of our afternoon routine), a few water breaks and 55km later, we found ourselves riding beside the lovely Ammersee (“see” is a lake). The campground we’d set our sights on didn’t accept tenters, so we had to scramble a bit because it was now 8PM. We ride very well in the later afternoon and early evening it seems (fewer distractions and we become more goal focused!) so often find ourselves still going at this time. We ended up finding an outdoor ed. center right on the lake and got permission to camp in their fire pit area. The manager’s son had gone to the teacher of the intermediate level class staying overnight to seek her approval. What a different world. I can’t imagine in Ontario a manager even considering asking for permission. A bunch of strangers camping 100m from the class? Not a chance. Kids taking advantage of a few minutes of downtime and a picnic table to blog while Yvonne and I set up the tent and made dinner in the fading light. This is the 1.5 day route we followed. 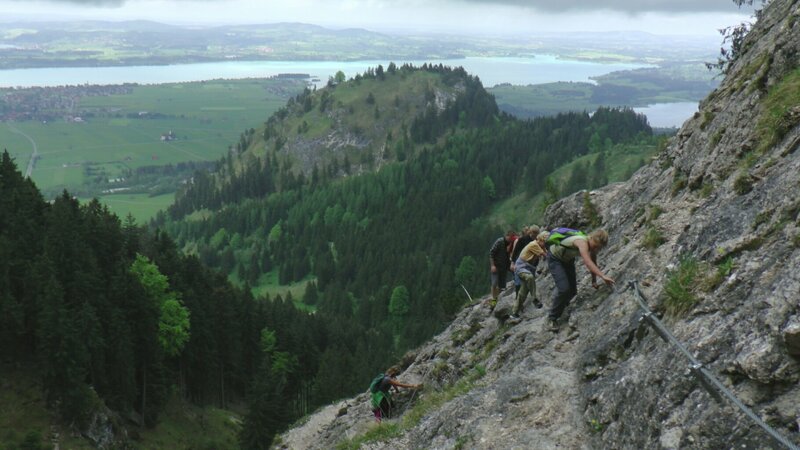 Note the 2nd half had us climbing about 300 vertical meters. Climbing on a bicycle does not need to be unpleasant. 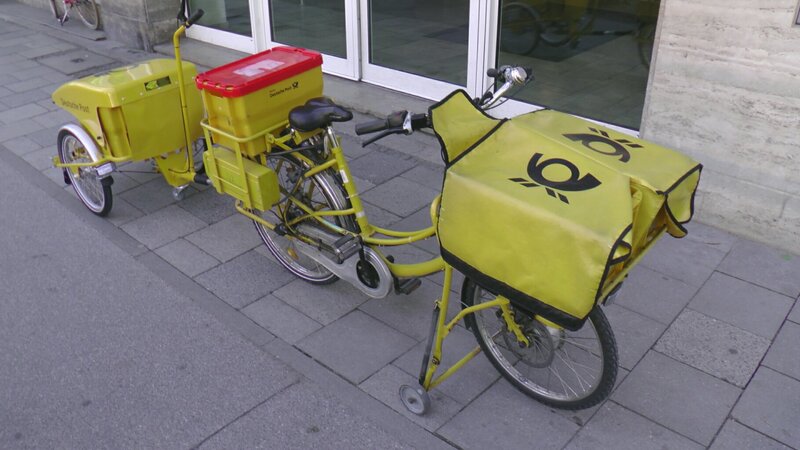 But we have all our gear on our bikes, which changes the picture notably. The kids have full bike paniers (bags on the back rack) plus sleeping bags tied on. None of our empty bikes are light. Yvonne has heavier bags and our tent. And everything else is in my trailer which probably weighs about 50 pounds. So hill climbing was a challenge. I was so impressed with how Kaia and Jake did. Some hills were very steep up for maybe 20 minutes at a time, and nobody got off their bike to walk. I was flat out in effort at one point, just trying to get the next pedal stroke. Hard do see here, but this was actually pretty steep. A sense of accomplishment was enjoyed and you can imagine how well the post-hills pastry break went down that afternoon! Typical lunch stop. Sandwiches are the usual fare. 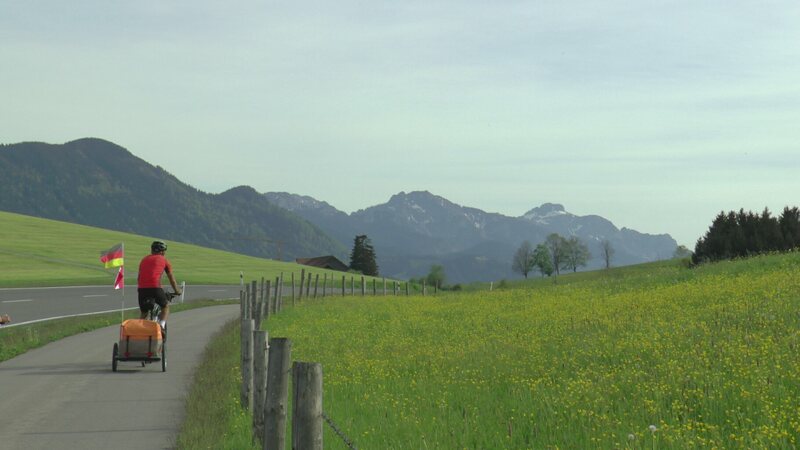 The ride from the top of the hill in to Schwangau was lovely – flatish, great bike paths, and ever-growing mountain views. Kaia's little Orangutan "Galdis" was really enjoying the fading afternoon light. 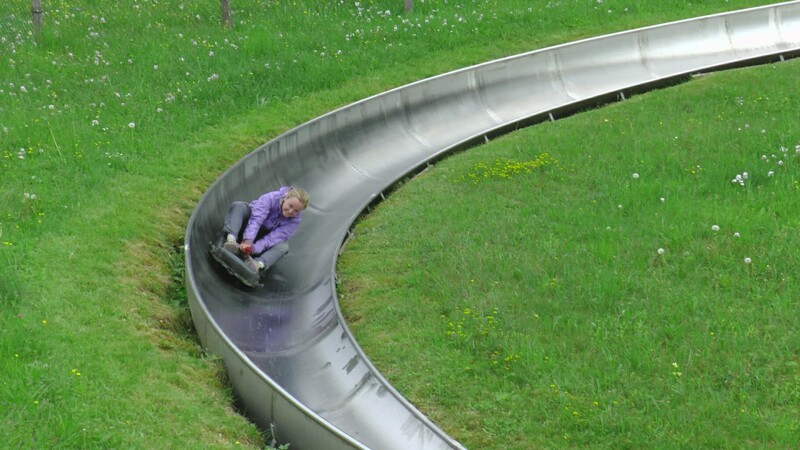 This farmer's field turns into a little ski hill. 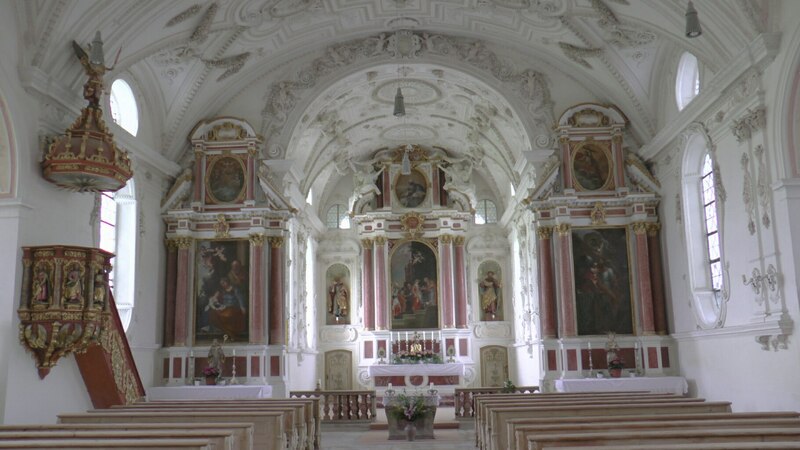 We stumbled onto this magnificent 450 yr old church in the tiny settlement of Steingaden. Clearly the congregation must come from the countryside. That said, it was explained to us that the Catholic churches are struggling with declining numbers and are having to close some churches. Every one we stepped into was magnificently ornate and well kept. Our typical routine approaching dinner would be to look for a supermarket an hour or so before our planned stopping point. We’d buy dinner ingredients and make sure we had enough for breakfast – sort of a “just on time” approach to avoid carrying too much food. 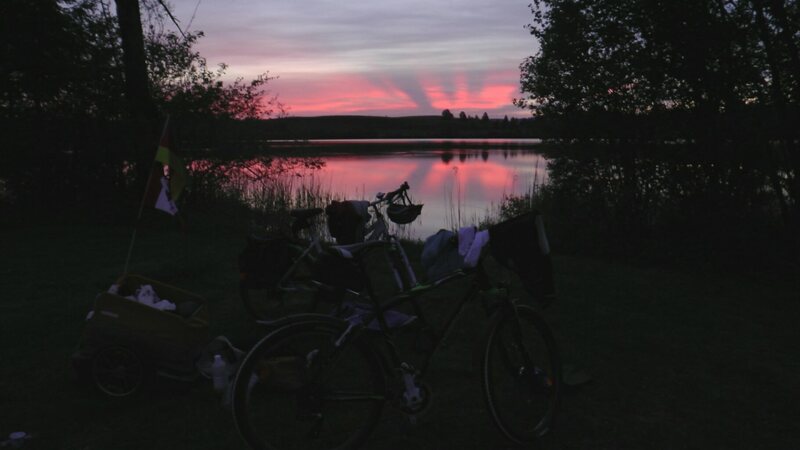 Our campsite on the Bannwaldsee was typical of German campsites. It was geared 90% towards long time trailer leases, and 9% towards short term camper/caravan travelers. The last 1% was tenters like us, and there was only 1 other tent among the hundreds of trailers. We really miss not having a picnic table at these campgrounds, but are rather blown away by the other camping amenities. Like in this case the very clean and large bathrooms and showers, laundry room with a drying room, dish washing up room, little store, outdoor patio, huge party/event room (beer hall) and full restaurant. 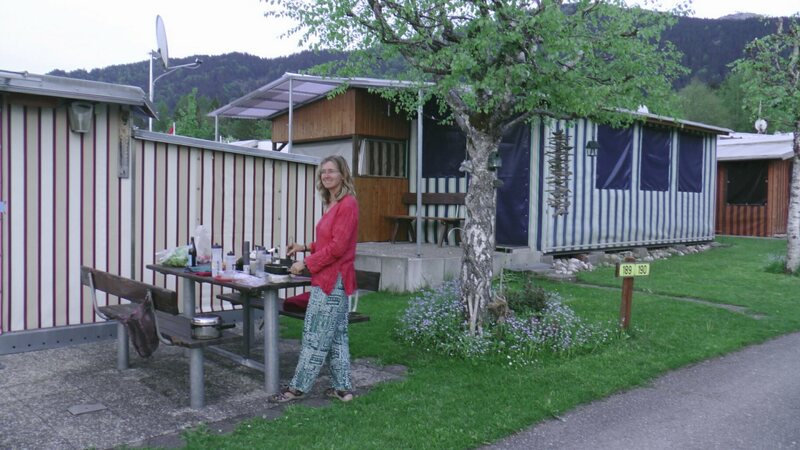 Still early in the camping season, most trailer leaseholders had not yet arrived so we poached one of their picnic tables for meals. 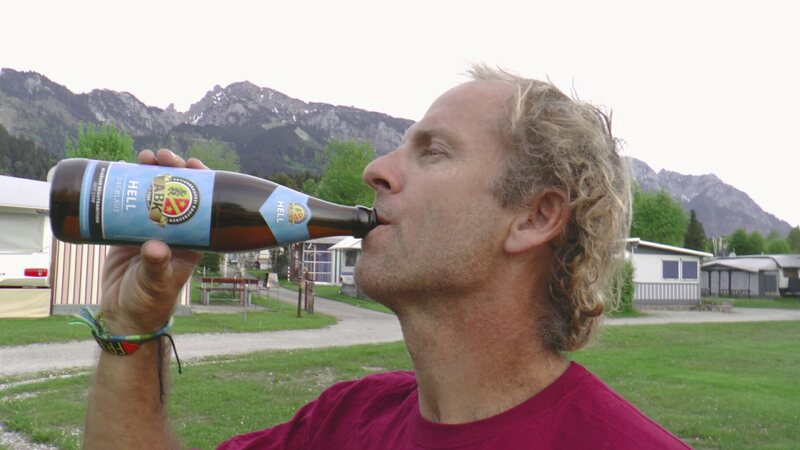 This Bavarian beer tasted like Hell. We had been lamenting since starting cycling that our trailer was too full. After food shopping, the cover would barely fit on. So next morning we spread all our things out on the grass and made a pile of what we now knew to be non essential things. A trip to the post office was next in line, and about 7kg of stuff was on its way to Canada. 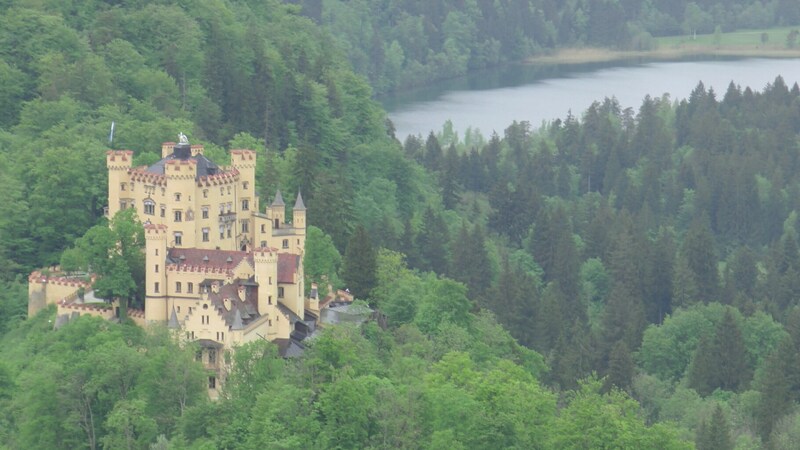 Neuschwanstein castle was only 2km away from the village of Schwangau and the approach to the castle is outstanding. This castle is best known for being the inspiration for Walt Disney’s castle. 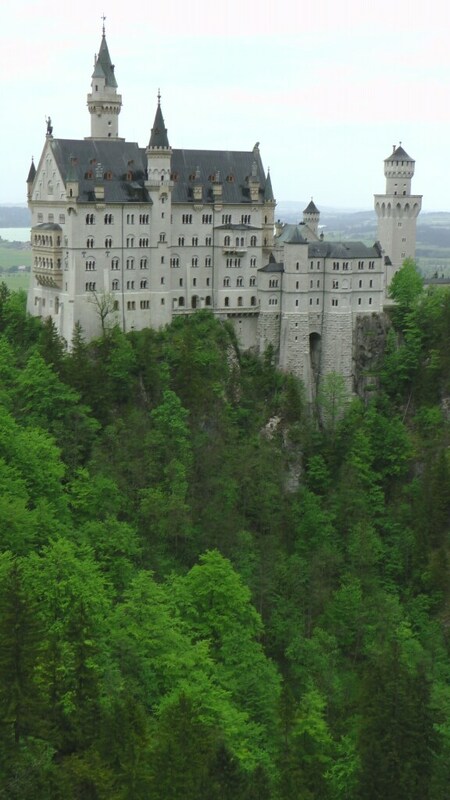 The castle was built by Bavarian King Ludwig II starting in 1868. Unlike other Kings of this area/era, he did it with his own (well, mostly borrowed) money – instead of public money. He really was building his “summer house”, after all. 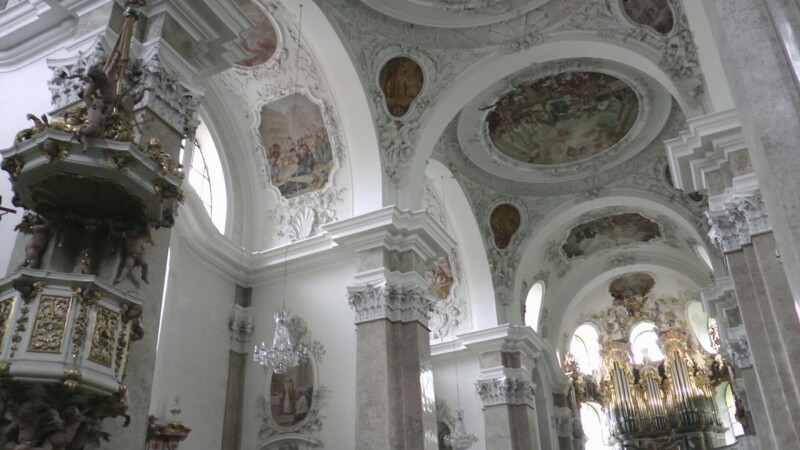 Ludwig had travelled widely and incorporated architecture from other European castles, and honoured other religions and world architecture in huge murals inside. Ludwig started staying in the partially finished castle in 1884 but by this time had borrowed huge sums of money and become quite a reclusive King. In 1886 parliament sent a posse to arrest him (he was apparently no longer “fit” to govern, though was later found to be not the case in hindsight), and they brought him back to Munich. The next day his body along with the body of his chief “arrestor” were found dead in a nearby lake. This mystery apparently has never been solved. Sadly, all this after Ludvig spending only 112 nights in the castle that he had poured his pockets, heart and mind into for 2 decades. 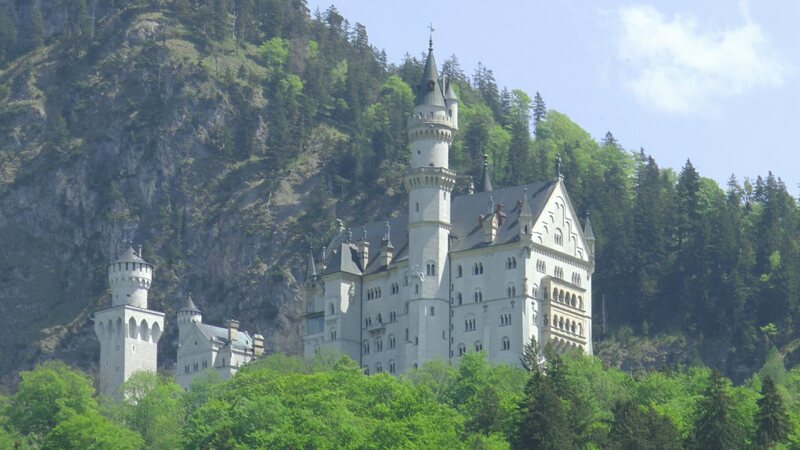 Immediately following his death, the Bavarian government finished the castle and opened it up to paying guests and tens of millions of visitors have now been through. Apparently, during the summer, as many as 6000 go through in a single day! Even on our day in mid-May, it was busy. You purchase tickets for very specific entry times, and your group is guided through together. Our entry time was 1.5 hours after ticket purchase. 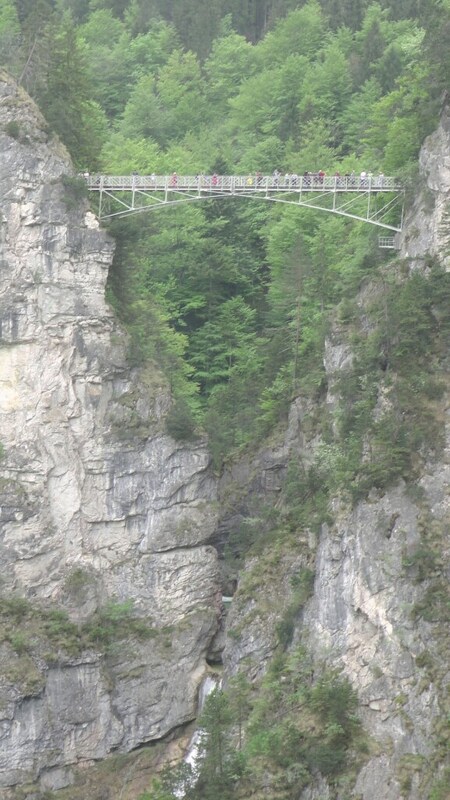 That was OK though, as it gave us the necessary time to hike the road up to the castle and to take the walk to “Marienbrucke” which is a bridge over the rather spectacular gorge adjacent the castle. No photos are allowed inside during the castle tour, as this would make it difficult for the guide to keep people moving. This is unfortunate because the inside of the castle is at least as impressive as the outside. One huge gallery room with a stage is devoted to Richard Wagner whom Ludvig greatly admired. It looks like it was built so the King could be entertained by various musicians; in fact, he would just enter alone and imagine Wagners’ operas being performed. Yes, he was a tad ecentric. 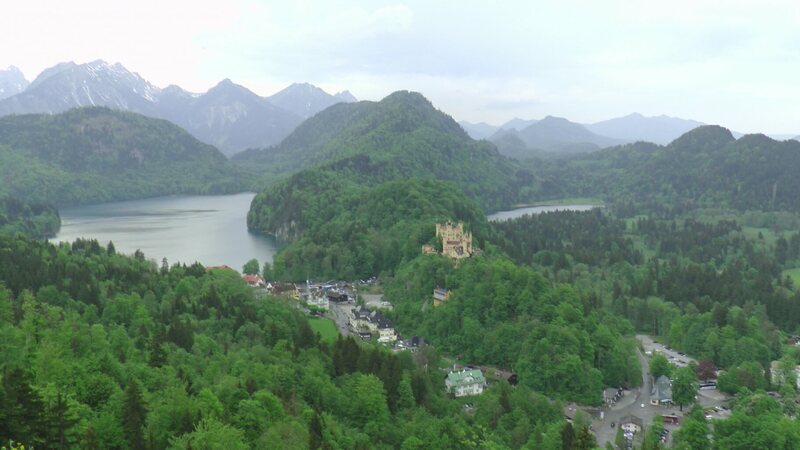 Ludvig II loved this area because he spent his summers as a boy in the neighbouring and equally impressive Hohenschwangau castle. This castle too is open to visitors. 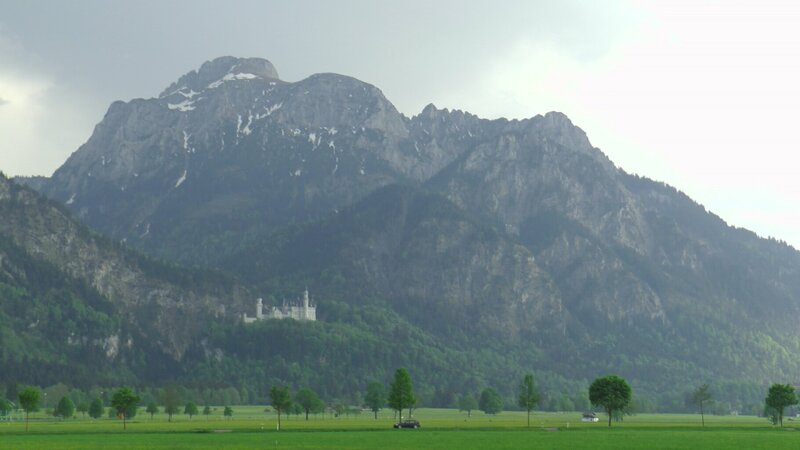 From Neuschwanstein, looking towards the sister Hohenschwangau castle. 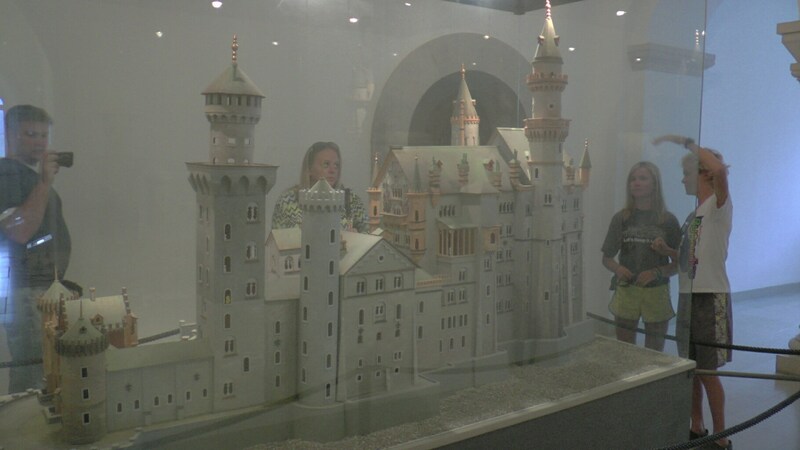 I wasn’t sure what to make of the Neuschwanstein castle before visiting. It had a lot of hype. And the Disney connection didn’t exactly sell it. But I have to say, it was VERY impressive. The setting, the furnishing and the rather dreamlike overall architecture set it apart. I noted a poster on a wall for a traditional folk concert at one of the close by churches. My family wanted to stay put for the evening so I headed off on my bike for a short trip to the church. 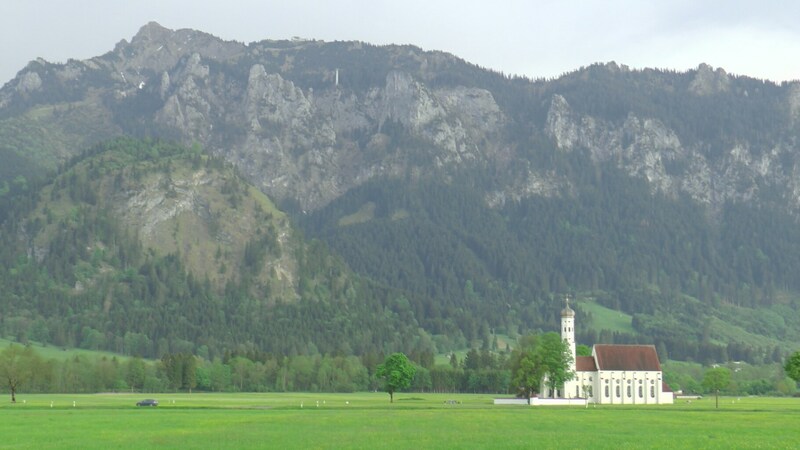 The church has a pretty spectacular setting at the foot of the Alps! The concert by the MarianSingers was a mix of duets, small ensembles, and my favorite – a group of 8 men doing yodelling harmony. Brilliant! 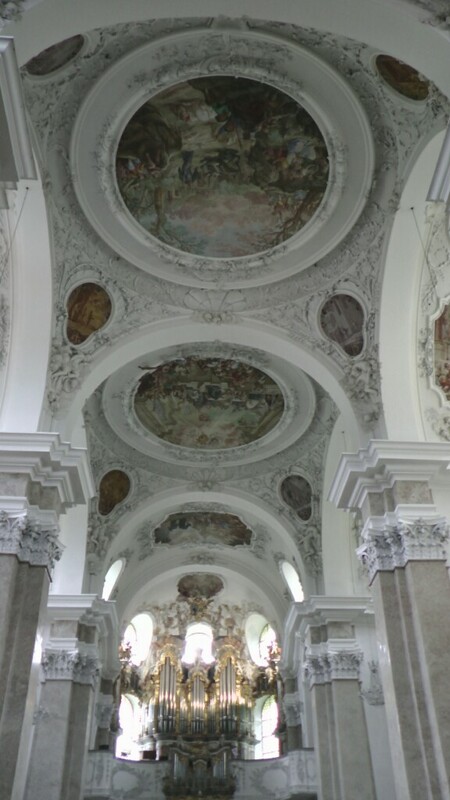 Equally impressive was the inside of this catholic church. 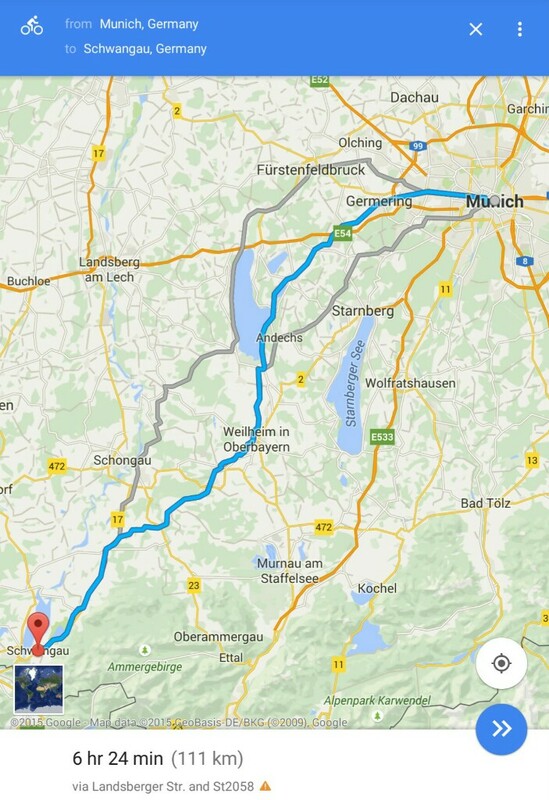 The following day we set off for the Bavarian Alps. 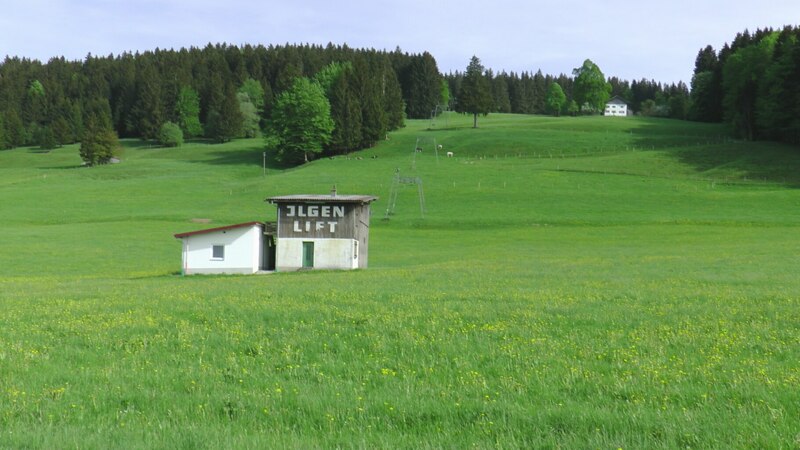 They rise up dramatically from the farming plains, and the access point for a hike up was only 2km from our campsite. Our objective is the top of this mountain. If you look carefully you can see the cable car tower. 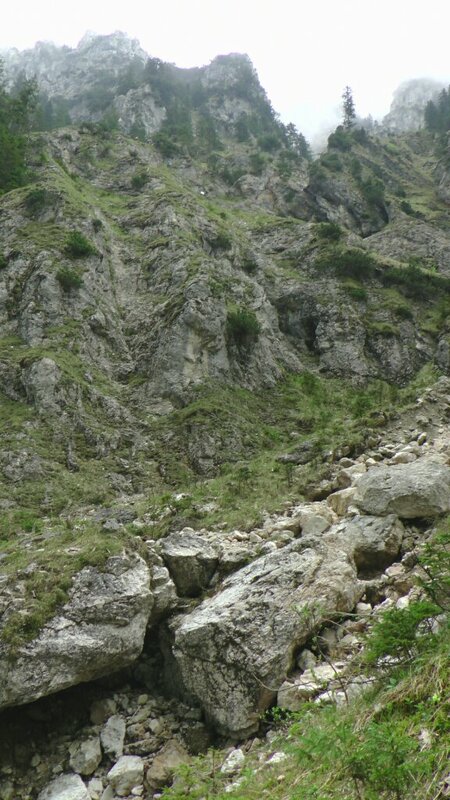 I had spoken to a tourist info person the day before and learned that there was a rather dramatic route up the face of the mountain. She said as long as we were strong hikers with very good footwear we ought to be OK. We’d have to hold on carefully to the cables that were strung up. The kids liked the sound of this so away we went. The trail got pretty steep pretty fast. Not too far into the hike we came across some rather disconcerting signs. There were warnings in German with signs of rocks falling on people’s heads (you’re supposed to wear a helmet, apparently) and other pictures showing how to fasten your harness and repelling gear for safe movement up and down cliff faces. We were part way up the mountain already. And I distinctly remembered the tourist info woman saying we could do it. So we pressed on, figuring this was the management’s way of dodging legal problems if someone gets into trouble. Look way way up ... and the little dots are hikers further along our trail. At least we knew others were on the trail! I zoomed way in to see their trail, and was not pleased to see the ladder. The cables were reassuring, and the views were really starting to open up. We were camping on the lake on the right. At one point, which was about half way up the mountain, I looked up not too far and saw a couple of people hanging off their ropes on a large vertical face that had only little iron nails sticking out for hands and feet. Shortly after we came around a corner and saw a ladder that went up vertically for about 20 ft. At this point I figured we had made a big mistake. So I asked a guy hiking behind me “do we have to go up that way?” He assured me that yes, it was the only way. Hmmm. But then a few moments later another guy came up and said that if we continued around the bend the regular path continued – the ladders and cliff face were only for those with climbing equipment. The first guy then apologized and said “sorry, I’ve never done this hike before”. WHAT? 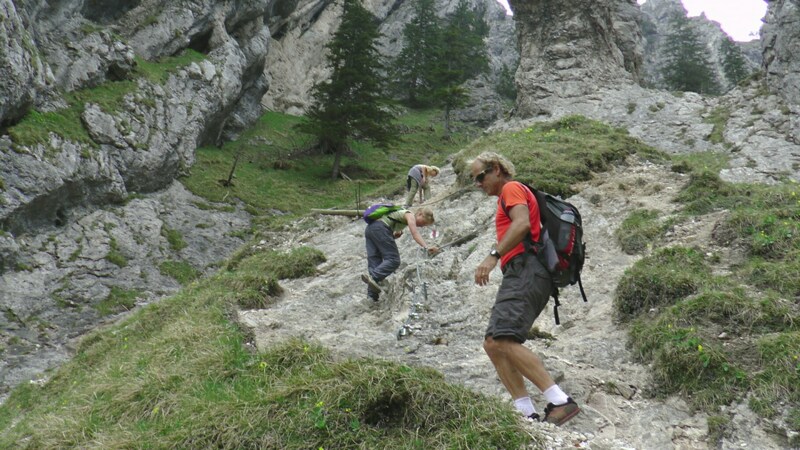 You’ve never done the hike before and you assured a family with youngish kids that they’d have to hang off a vertical face? Thanks, buddy! Phew. I finally realized that this hike would turn out well. 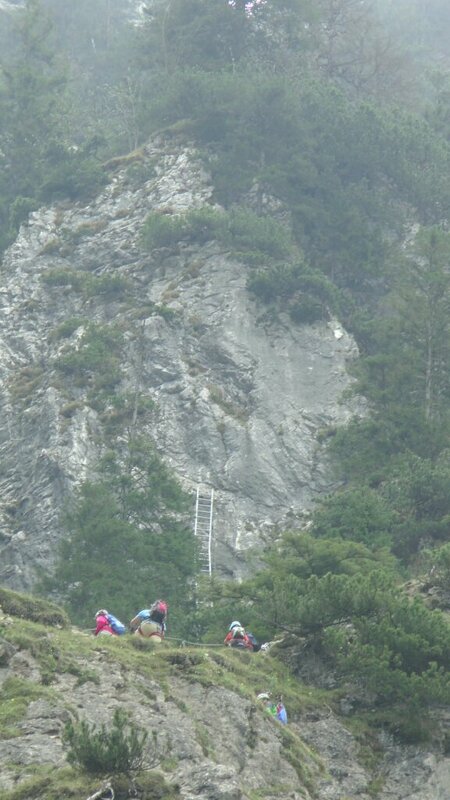 We were all enjoying the steep trail with the cables. This was the last section of trail. 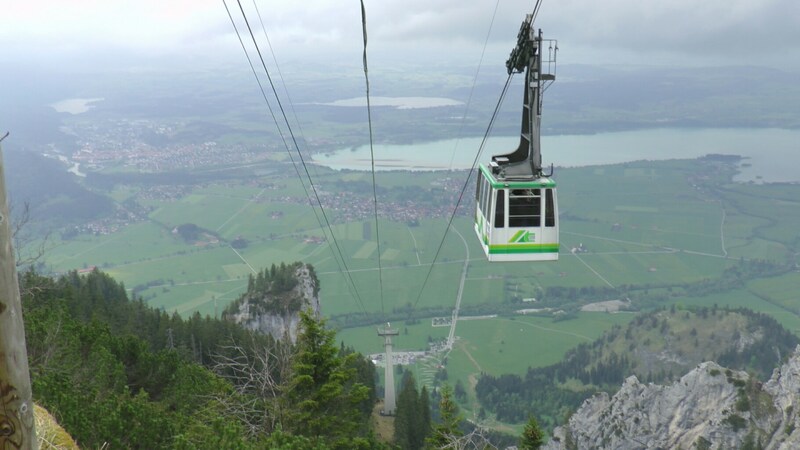 Most people get to the top of the mountain in this cable car. We'd decided we'd ride it down. One last pitch to the top. 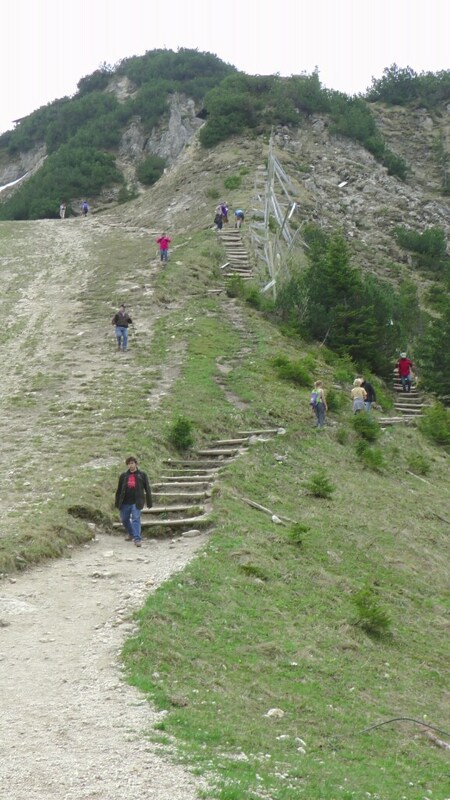 Most of these hikers were on their way down following a more gentle ski slope. 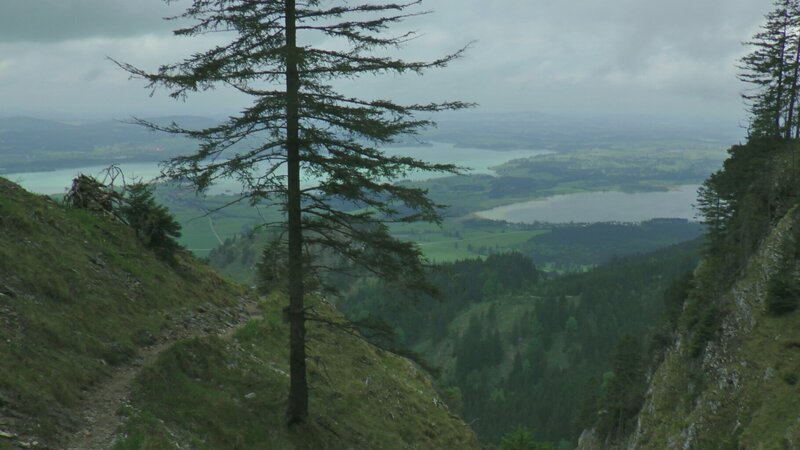 View from the top, looking north into Bavaria. 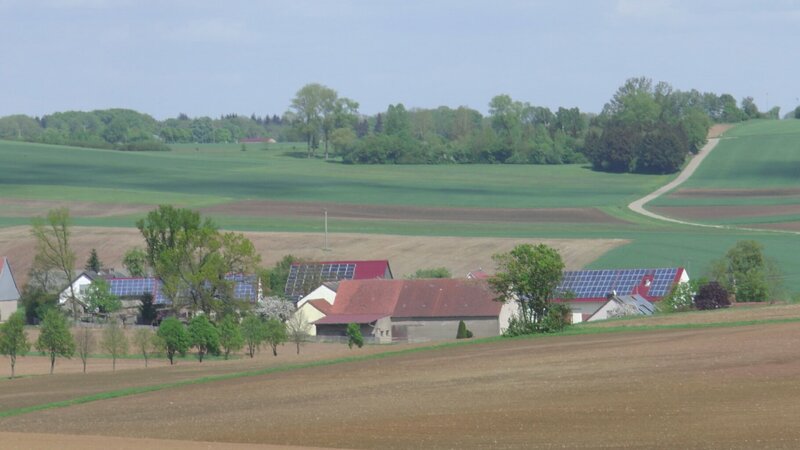 At this point we were only a couple of km from the northern Austria border. We enjoyed lunch at the top. 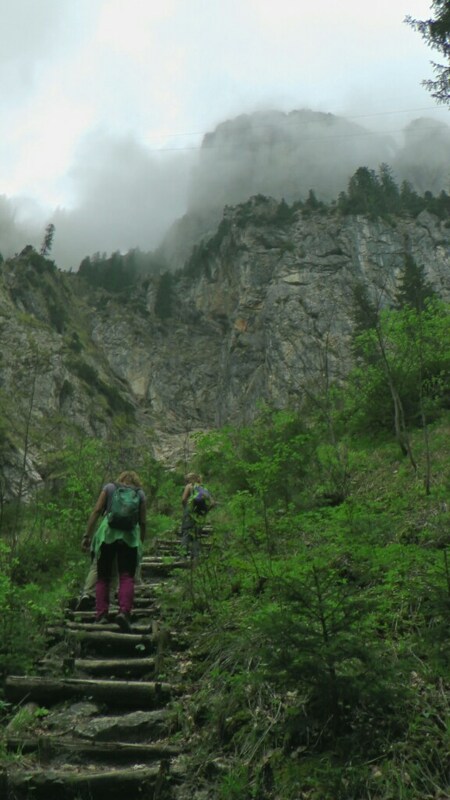 We really felt like we’d earned it (1 vertical km up) and had enjoyed the rather spectacular trail. Good thing there was a restaurant at the top, though. 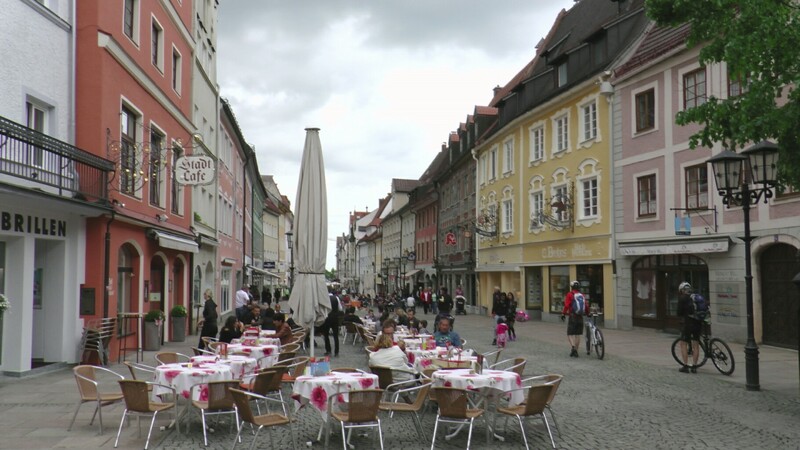 It was a holiday and EVERYTHING is closed on Sundays and holidays in Bavaria. So we couldn’t buy groceries for the day down below. Once again I was amused and rather amazed by the steady stream of 0.5L and 1L beer steins that were being downed by just about every other guy up there. And it was only about 5 or 10 degC and they were all sitting outside! The view back into the Austrian Alps was fabulous and I was drooling looking at the hiking map with trails galore from peak to peak and hut to hut. But most of the high mountains were still under snow so going further was not really an option. 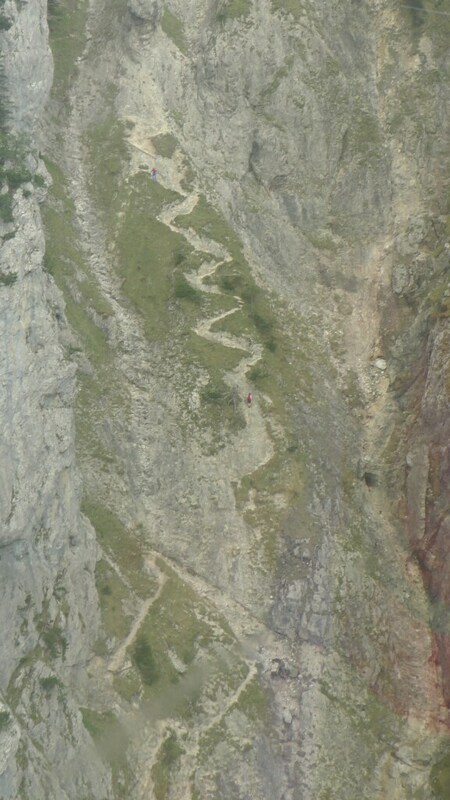 The final part of our hike up, as seen from the cable car. 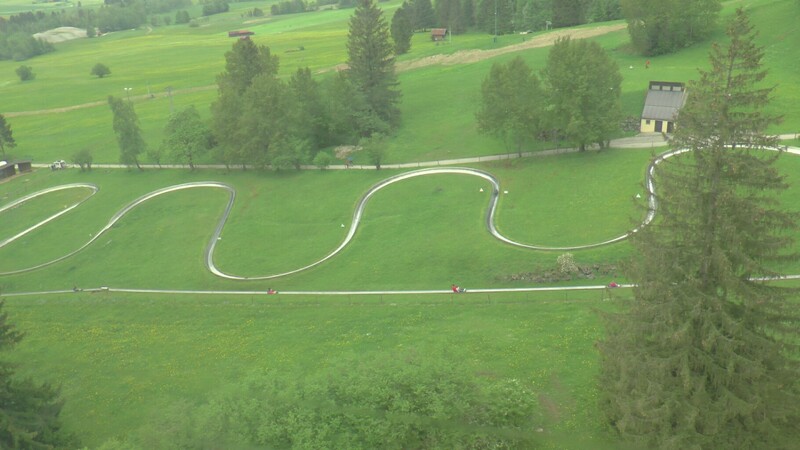 A different set of spirally switchbacks. 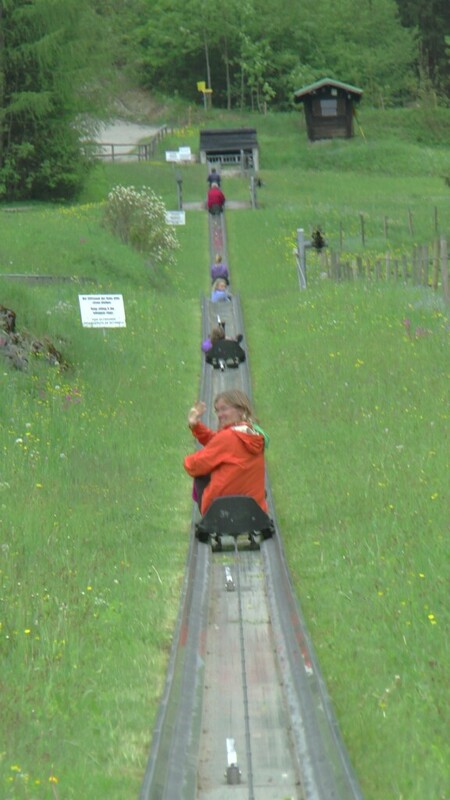 This is the luge/toboggan run set up under the cable car. Just had to try it ! Kaia and Jake are being towed up ahead of Yvonne. I was pleasantly surprised at how fast you can get going in these things. Whihoo! 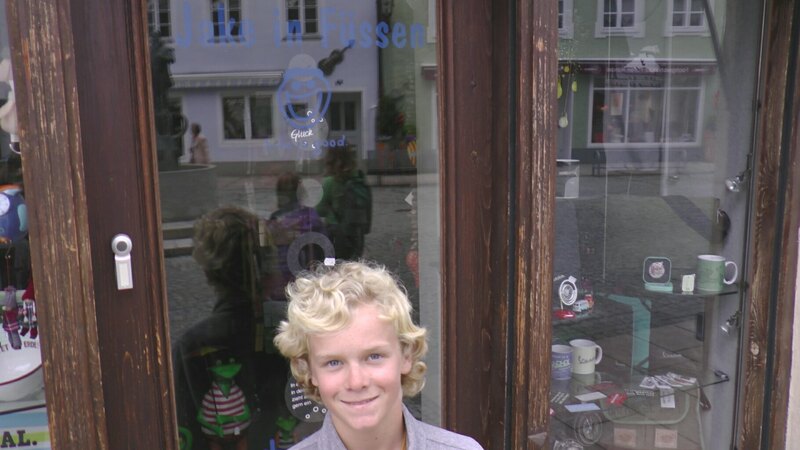 From the cable car base we cycled about 8km into the neighbouring and larger town of Fussen. Fussen is one of Germany’s oldest towns and dates from the period of the Roman Empire. Several of the churches date back to the 800s. 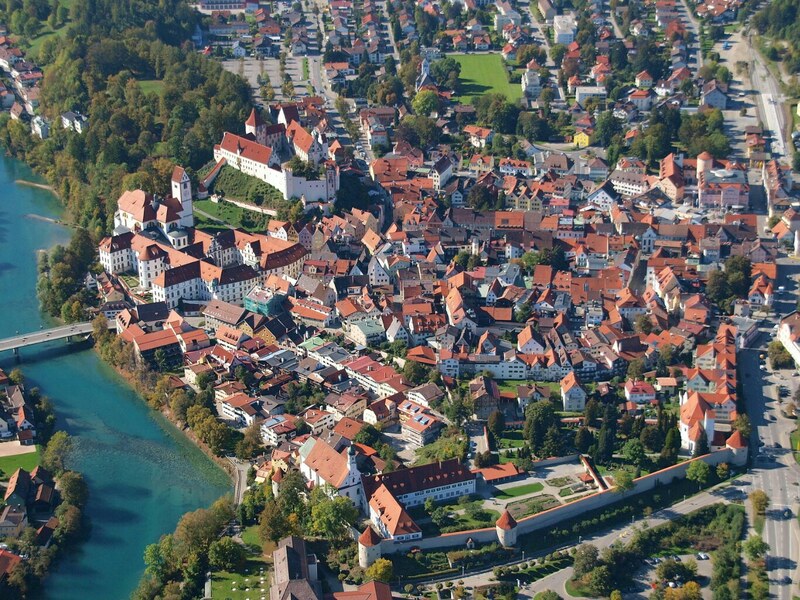 It was on the trade route between Italy and the Roman provincial capital now known as Augsburg. It was a delight to walk around that evening. Huge, ornate churches abound, and the city has an extensive walking district full of cafes, bakeries and outdoor seating. 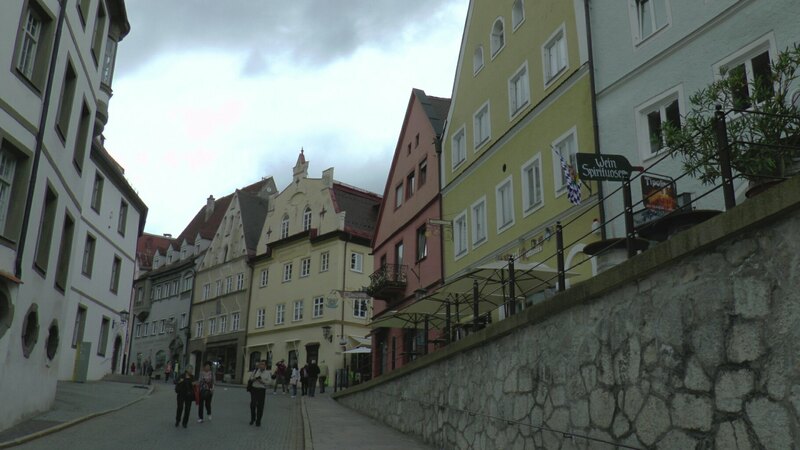 Fussen, courtesy of the net. Read the blue lettering on the window carefully. Ha! Dinner that night was at the most scrumptious Greek restaurant. I’m not sure what I liked more – the savory flavours or the medieval town ambience & architecture of the restaurant. 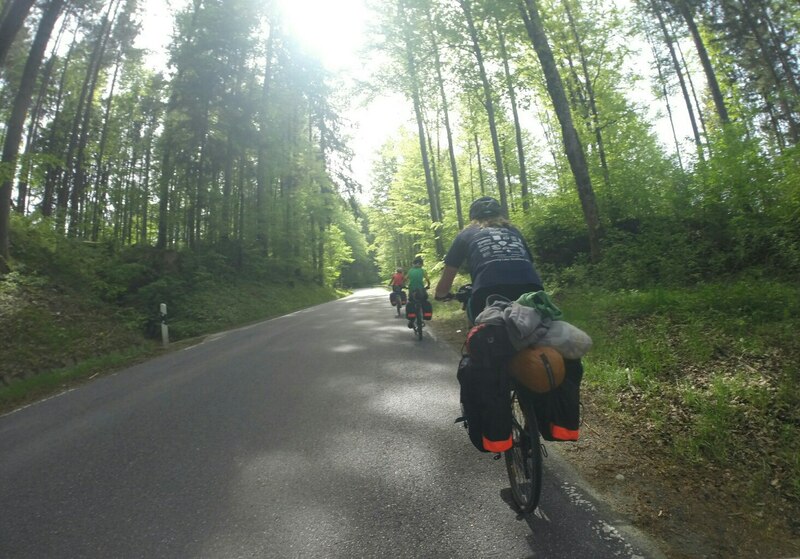 After a very full day we set off on our bikes again to return to our campground. I was quite enamored with this firewood holder. 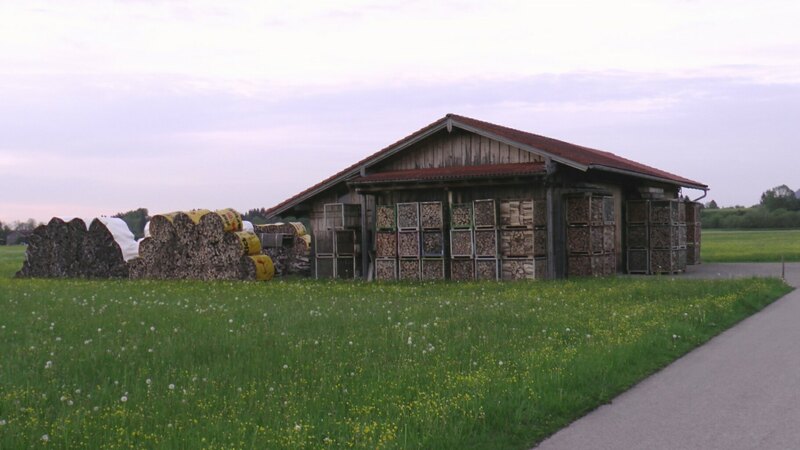 Speaking of firewood ... rural Germany depends to a very large degree on wood for heating. 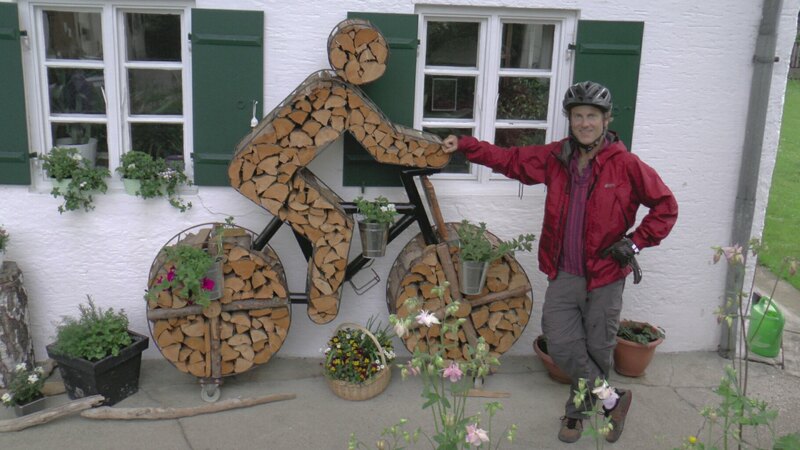 Almost every farm we saw from bike paths had large wood supplies from their carefully managed forests.